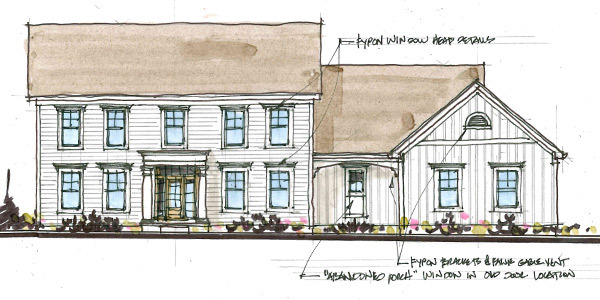 At RDS, we believe that designing a home is one of the most satisfying parts of our work. We love building relationships with our clients, and working with them to bring their dreams to reality. We want you to get an idea of what our clients think of their experience when working with us. Our experience was amazing. From our first meeting to the final touches, Jim and his team understood our vision. They were incredibly professional and responsive to all of our needs. We had a new home designed from scratch. Our favorite part was the initial drawing that Jim provided because it was designed by hand and was a true reflection of our dream come true on paper! Honestly, we had to think hard to answer this question! I think the only thing we would say is that when the invoices are created, having line item details for invoicing would help with understanding changes. We felt like we were in GREAT hands with Jim and his team. We always felt like we mattered as a customer. If it weren’t for Jim’s experience and creativity we wouldn’t be building where we are. We were stuck with how to split the lot and make our house work while leaving a nice sized lot for other buyers (or we wouldn’t have been able to buy the property). In 15 minutes on-site, Jim had an idea that saved our dream lot and made it possible. You don’t see that every day. The most important thing is to spend time ahead of your first meeting looking at floor plans, Pinterest, and Houzz and know in general what your vision is. We actually cut out floor plans and brought our favorite parts of each one to our first meeting, which we believe helped Jim understand our vision from the start. And he’s simply THAT good. Did you know he can draw like a pro upside down so you can be involved in the conversation as we talked through options? We did not consider another architect after meeting Jim. We knew he was a good fit for us and had the experience and referrals to back that decision up! If and only if it was with RDS! Let our designers help you make your dreams a reality. We’d be honored to work with you! Older PostJim's Tip - Who Comes First?